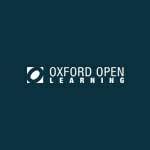 Oxford Open Learning will be closed for the Christmas break from 5.00pm Friday the 21st of December and will re-open 9am Wednesday the 2nd of January. We wish all of our students and tutors a Merry Christmas and a Happy New Year. Scientists, Engineers, Mathematicians – your country needs you!